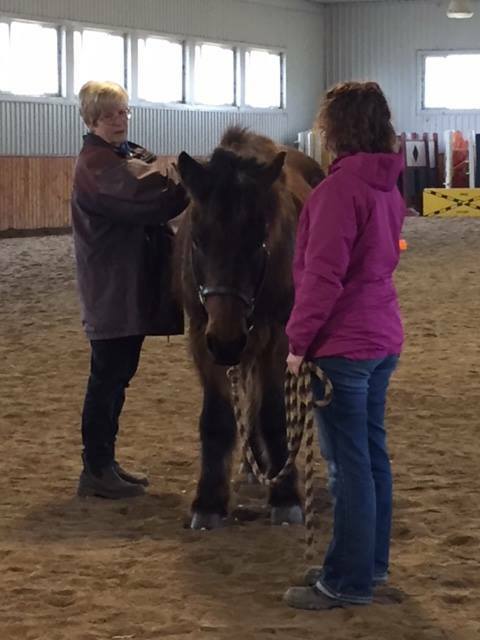 In April, the OIHA was happy to host a workshop to introduce participants to the Masterson Method. 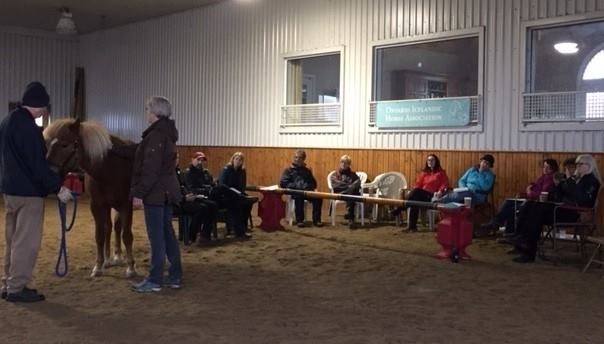 The workshop was led by one of our OIHA members and now Masterson Method Certified Practitioner, Kathy Hanneson. Thanks to the wonderful Icelandic horses from OnIce horse farm, Kathy’s hands-on workshop allowed each attendee the chance to try some basic procedures such as the bladder-meridian technique on several different horses. 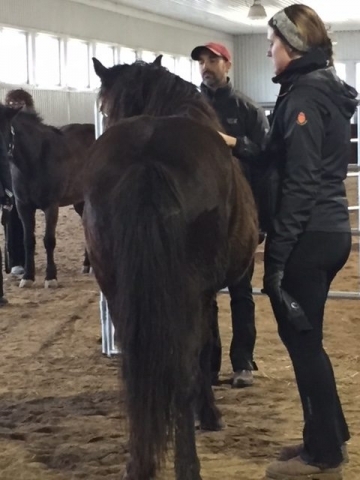 Accumulated stress and tension in the body of a horse can affect both how the horse moves and how it performs. 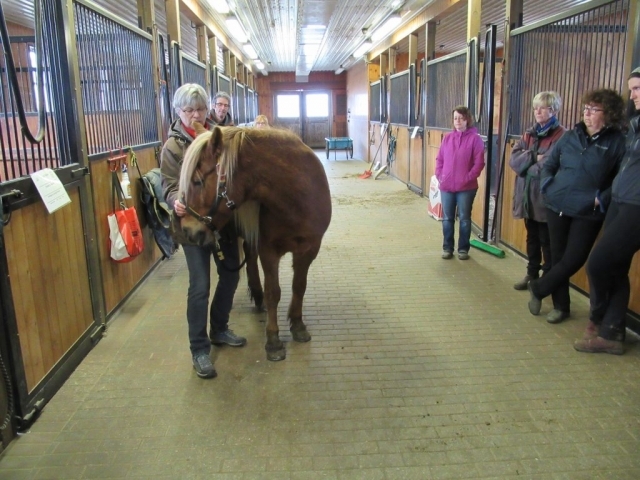 The Masterson Method is an interactive form of equine bodywork which allows you to read the response of the horse to your touch in order to help the horse release this accumulated tension in the body. 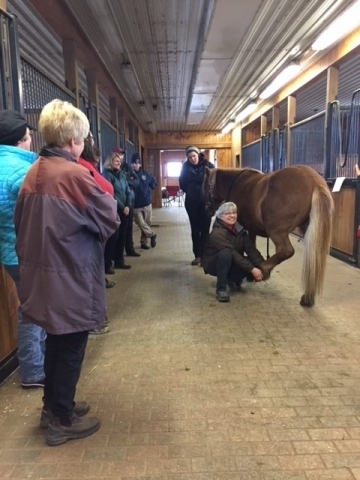 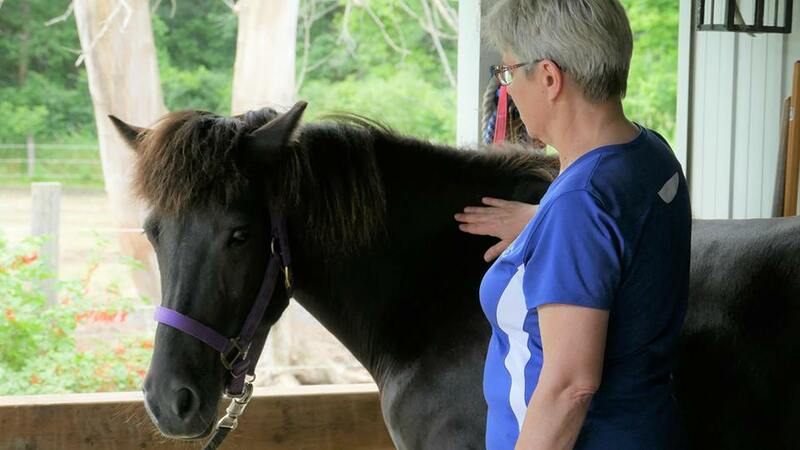 The workshop provided a great opportunity to actively participate in improving the horse’s well being using techniques that go beyond traditional massage. Each horse responded differently to the applied techniques and it was interesting to see some of the more stoic ones eventually give in and release their tension. 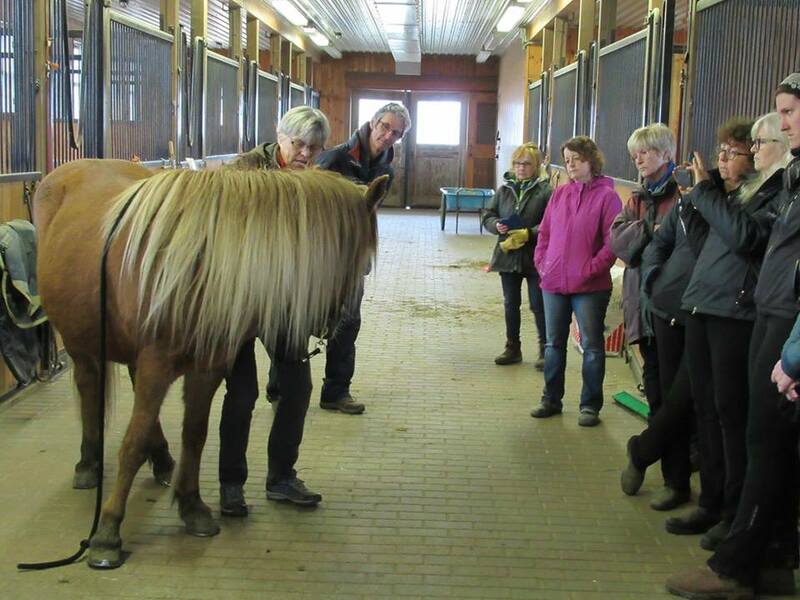 This was an excellent introduction and learning opportunity for all participants. We hope that Kathy will host a follow-up Masterson Method workshop later in the year.